The editorial board of The Dallas Morning News called on Democratic Rep. Robert “Beto” O’Rourke on Friday to provide clarification regarding where he stands on the migrant caravan that is heading toward the U.S border. O’Rourke, who is trying to unseat Republican Sen. Ted Cruz, has been dodging the issue, despite immigration and border security overwhelmingly being the top issues for voters in Texas. Cruz urged reporters on Friday to probe O’Rourke into what he intends to do if elected to the Senate later this week. Cruz’s second question was in reference to undercover footage that was released on Thursday by Project Veritas. In the video, O’Rourke’s campaign staff alluded to campaign resources that were being used to assist the migrants on their way to the Texas border, a move that would violate federal law. 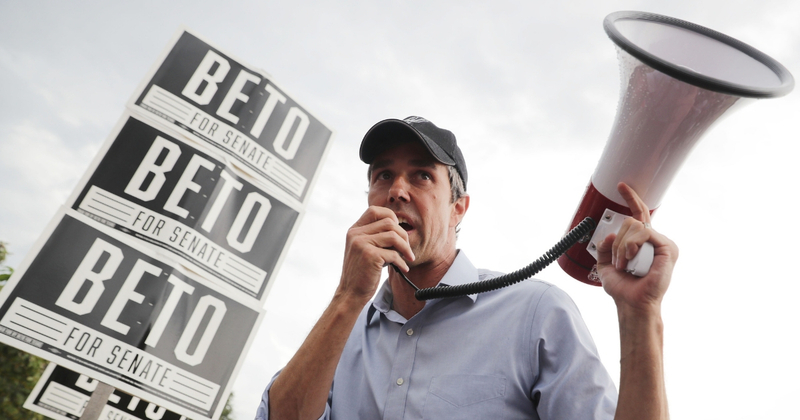 O’Rourke later claimed that the spending will be appropriately reported to the Federal Election Commission as a charitable expense. Advertisement – story continues belowO’Rourke’s campaign did not reply to The Daily Caller News Foundation’s request to comment. Praying that everyone votes against the evil Democrats and the Spineless RINOs. Full MAGA!! !